Make Up Yourself as a cute anime girl! 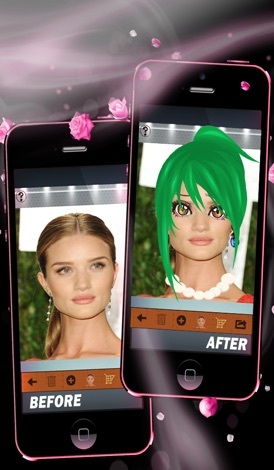 Girls, if you love dress up and Anime, this game is the perfect combo for you. Dress up yourself. 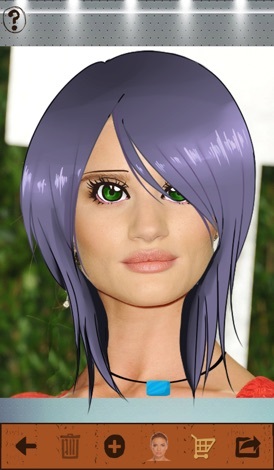 Create your own anime avatar with your own face. Choose from a variety of accessories, hairstyles, jewelry and create super hot anime looks of yourself. Stylish & fashionable! Go crazy dressing up yourself in different ways. Give your face new hairstyles, mix and match the accessories. - Hundreds of unique looks are possible. - You can save the final look in your photos or make it your girly anime wallpaper! - You can create different looks for you, your friends and put them as display pics in their contact details on your iPhone. one from your own photo library. 3. Begin the fun! 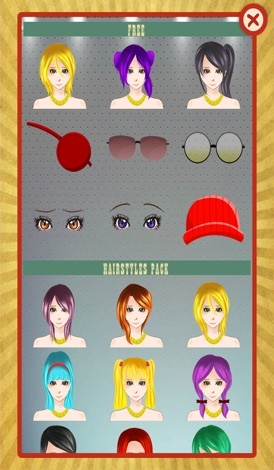 Choose the accesories that you prefer to create your own avatar and add them over your picture! camera roll from right within your app! to your picture, there is one for every occasion!